Driven by Nano USM, this compact EF-S standard zoom lens with up to approx. 7.5x zoom covers most shooting scenes, whether of your travel destination or an everyday scene. 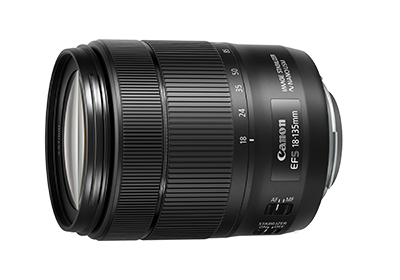 It retains the same optical technology used in the best-selling EF-S18-135mm f/3.5-5.6 IS STM lens, which prevents flaring and ghosting to realize high image quality. Dynamic IS corrects major instances of camera shake and it's just one part of the overall IS image stabilizing system which stabilizes images up to an equivalent of 4 shutter speed settings. In fact, this lens is optimized for both stills and movie shooting thanks to Nano USM which ensures high speed, seamless, and quiet AF as you shoot. The lens uses a 7-blade circular aperture, which promises beautiful bokeh circles. It's also compatible with the optional Power Zoom Adapter PZ-E1, which helps you to carry out even smoother zoom operations.